South Jersey has long had a reputation for producing outstanding athletes. This is the place, after all, where Mike Trout and Carli Lloyd first laced up their cleats before going on to international stardom. 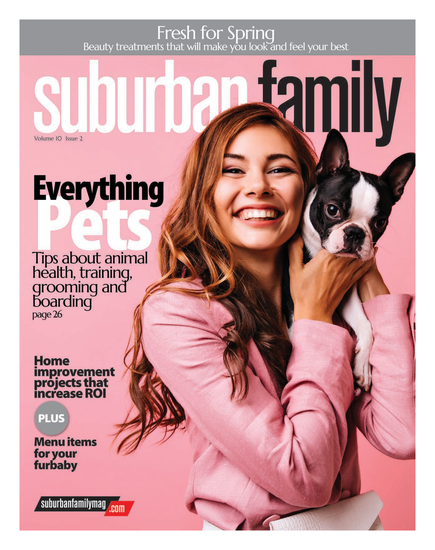 It is yet to be determined whether the 2017 Suburban Family Athletes of the Year include a future MVP or World Cup hero. But this much is clear: Just like Trout and Lloyd before them, these young competitors have proven to be dedicated to their sports and worthy of our attention. The following is a closer look at our top athletes and their accomplishments, listed in alphabetical order. The record books at Eastern High School will never be the same following Ali’s unforgettable soccer career with the Vikings. In just 16 games as a senior last fall, she recorded 27 goals and seven assists, increasing her career totals to 99 goals and 53 assists, both school records. She also holds Eastern’s single-season mark for goals, thanks to the 36 she tallied as a junior. Ali was named the National Soccer Coaches Association of America Player of the Year as a senior and will continue her career at Rutgers University. The last several years have been a thrilling time for the Lenape girls lacrosse program, and Braverman has been right in the middle of it. She was a major contributor as a freshman in 2014 when the Indians captured their first state championship and set a school record for wins, and she helped them get back to the state final in 2015. Now a senior leader and draw specialist on a team with state championship aspirations, Braverman has scored more than 170 career goals and will continue her career at Duquesne University. The ace for the Camden Catholic softball team since her sophomore year, Byrnes has emerged as one of South Jersey’s top pitchers this spring as a senior. Armed with a hard fastball and devastating curve, she also throws four other pitches to stifle opposing batters. Byrnes, who made the all-conference first team as a junior, hopes to lead the Fighting Irish on a long playoff run before continuing her career at William Paterson University. DeLawter, a fifth-grader at Hartford School, has been taking gymnastics since he was 4 years old and started competing at 8. His hard work in the gym paid off in March when he claimed a state title on the vault at the New Jersey Men’s Gymnastics State Championships. He also placed on the parallel bars, rings, pommel horse and floor on his way to an eighth-place finish in the all-around. DeLawter, a level six gymnast who trains at Champions United Gym, went on to compete at the Region 7 Championships in April and took 10th place in the all-around out of 42 gymnasts. Gess made headlines just a few months into her running career at Haddonfield when she became the third girl in state history to win the cross country Meet of Champions title as a freshman. Now a senior, she has continued to rack up championships and awards on her way to one of the best careers for a distance runner in state history. Gess has claimed three straight Meet of Champions crowns in the mile during spring track, and will shoot for a fourth in June before heading to the University of Virginia. While it’s often the goal scorers who draw the most attention on a soccer field, Goldstein’s play on defense for the Shawnee girls soccer team was hard to miss last fall. She anchored a unit that recorded 11 shutouts and allowed just 14 goals all season, helping the Renegades to a 17-4-1 record. Goldstein, who will continue her career at Rutgers University, also spearheaded Shawnee’s attack and finished with four goals. Hernandez enjoyed tremendous individual success as a senior defensive lineman on the Cherry Hill West football team last fall, as he recorded 93 tackles and 10 sacks and was named South Jersey Defensive Player of the Year. But even more important to him was helping the Lions to an 8-2 season, the program’s best record since 1967. Hernandez, who will continue his football career at Villanova, also had a standout senior wrestling season in which he placed second at districts and regions and qualified for states. No matter what happened this season, it was going to be a special one for Kinner, a junior at Kingsway who got to be part of the wrestling team with both of his brothers, senior Trace and freshman Cheyney. But he was able to cap it off in the best way possible, as he claimed his first state championship with a 5-0 victory in the 132-pound final at Atlantic City’s Boardwalk Hall. Kinner, who placed third at states as a sophomore, also won his third straight district and region titles and finished with a 43-2 record. After originally committing to play football at Rutgers University, Lovett, a star running back at Cherokee, changed his mind and reopened his recruiting early in his senior season. Soon many elite programs across the country were beating down his door, and it was easy to see why. The 6-foot-1, 194-pounder rushed for 1,359 yards and 23 touchdowns last fall and added 38 tackles as a defensive back. He ended up deciding on Baylor for college, choosing the Bears over Penn State, Michigan State and Tennessee, among others. 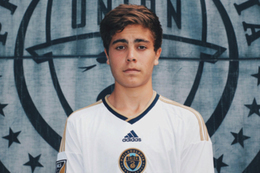 McCartney, a Voorhees resident who attends YSC Academy in Wayne, Pa., has been a stellar midfielder for the last four years for one of the nation’s premier club soccer programs, the Philadelphia Union Academy. He is currently a captain for the Union’s U18 team, which is ranked in the top five in the country by Top Drawer Soccer. McCartney, who has participated in U.S. Men’s National Team training camps, will continue his career in the Ivy League next fall at Dartmouth College. Most basketball players love nothing more than putting the ball in the basket. But Mutts—a 6-foot-7 senior from St. Augustine Prep—is the rare breed who actually has more fun at the defensive end of the court. A defensive force on South Jersey’s top team this winter, he averaged 3.5 blocks and 7.0 rebounds to go with 12.4 points, leading the Hermits to a 27-3 record and their second straight sectional championship. Mutts will continue his career at High Point University. Despite playing for a program as renowned as the Moorestown girls lacrosse team—which has produced countless star players through the years—Nicolai has managed to stand out with a memorable career. The midfielder was the consensus South Jersey Player of the Year as a junior in 2016, and is sure to be in the mix again this year as a senior. She has scored nearly 200 career goals in lacrosse and was also the leading scorer for two straight seasons for the Moorestown girls soccer team. Nicolai will play lacrosse next year at Penn State University. Outlaw was chosen as one of our Athletes of the Year as an eighth-grader back in 2013 thanks to a record-setting track career at William Allen Middle School. Four years later, he’s made his way back as he continues to shine on the track as well as the football field at Moorestown. Last fall, the senior wide receiver had 36 receptions and scored 13 total touchdowns to earn all-Burlington County honors. This spring he is one of the top 400-meter runners in the state. He will seek his second straight state title in the event and his fourth consecutive trip to the Meet of Champions before moving on to the University of Virginia. Stephens wrapped up her outstanding basketball career at Paul VI this winter as the school’s all-time leading scorer— including girls and boys—with 1,538 points. But she was so much more than a scorer, as she also stood out at the defensive end and emerged as a senior leader this season for a young team. While Stephens will be remembered for her scoring record, she also led the Eagles to their first division championship since 1993. Quinn, a star forward on the Bishop Eustace field hockey team, celebrated Senior Night last fall by becoming the first player in school history to score 100 career goals. She went on to finish with 120, breaking the career record previously held by her sister Kelly. But that was far from the only highlight this year for the Marlton resident, who finished with 50 goals and 24 assists on the season and sparked the Crusaders to a state championship. Also a standout defender in lacrosse, Quinn will play field hockey at the University of Pennsylvania. For anyone who has ever seen Therien play a sport, one word immediately comes to mind: competitor. The Cherokee senior was an intimidating defender throughout her four-year varsity career on the Chiefs’ soccer team. But she really shined on the basketball court, especially during her final season with the Chiefs. As the lone player with varsity experience on a young team, she willed Cherokee to a 27-3 record and the South Jersey Group IV championship, hitting the game-winning shot at the buzzer. Therien, who will play basketball at Loyola University, averaged 20.4 points and 8.0 rebounds per game. Known as the quiet leader of the Eastern baseball team, Schneider has plenty to say with his play on the field. The senior third baseman has been a four-year starter and two-time all-South Jersey selection in his career, and helped the Vikings to a sectional championship as a freshman and their first-ever Diamond Classic title as a junior. He collected his 100th career hit early in his final season and will continue his career at Rutgers University, although his college plans could change if he is selected in June’s Major League Baseball Draft. Wynn, a member of the Camden Track Club, competed at the AAU Junior Olympic National Track and Field Championships in Humble, Texas, last summer, but her performance was certainly worth bragging about. She captured two national titles in the 8-and-under division, recording winning times of 14.36 seconds in the 100 meters and 29.42 seconds in the 200. She also placed fifth in the long jump and helped her team earn 22 medals at the event.